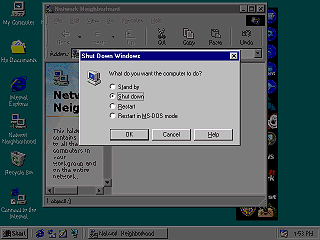 The overall window management in Windows 98 remains about the same as Windows 95. Title bars now have gradient colors, moving the mouse over window control button brings up a "Help Tip", and moving the mouse over an item in a menu bar draws a 3d button border around the item. The main change in Windows 98 is the shell. 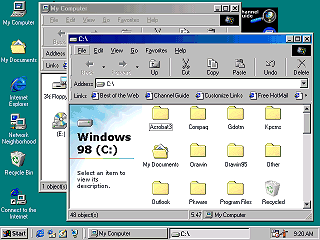 When Windows 98 starts, it launches the "enhanced" Windows Explorer, which is integrated with Microsoft's Internet Explorer product. This is done for the "benefit of the consumer". 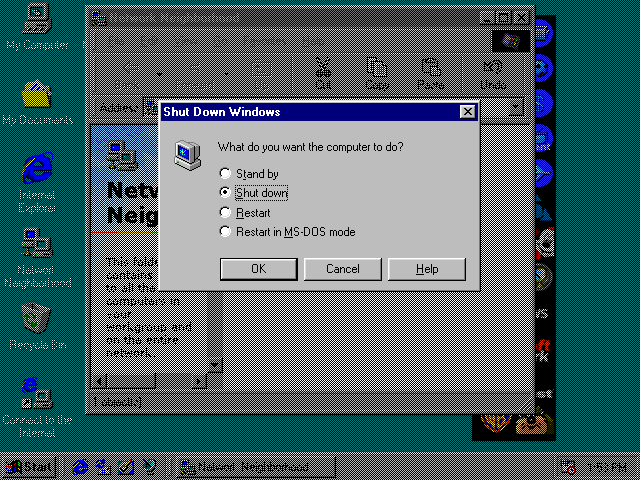 What it really does is add unnecessary clutter to the display and slows down the system. 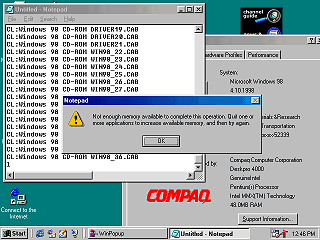 It also provides an excuse for Microsoft to continue bundling IE with Windows. What may not be so obvious is the "Active Desktop" what this does is allows ActiveX controls to display right on the Windows desktop. 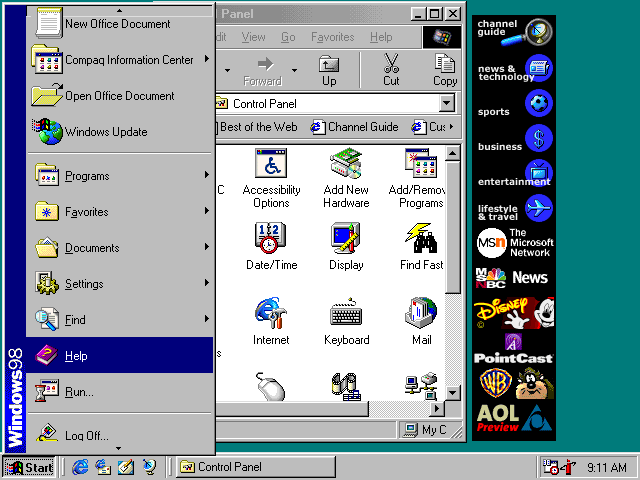 On a fresh install, the only ActiveX control configured for this is the Internet Explorer channel bar, which places advertising, and links to more advertising on the users desktop. 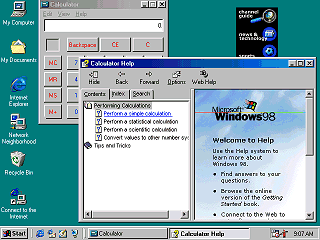 In Windows 98, the old Windows Help has been replaced by "Hyper Help" which is a component of Microsoft Internet Explorer. Apparently, performing a simple calculation requires IE 4. 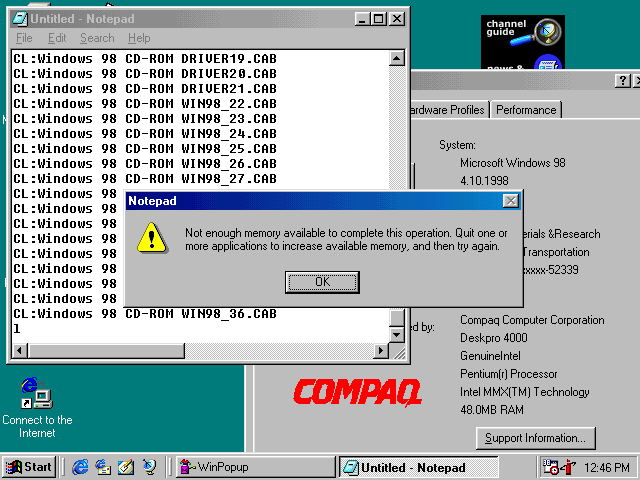 After at least 13 years of development, Windows Notepad is still incapable of working with any text file larger than approximately 60K bytes. 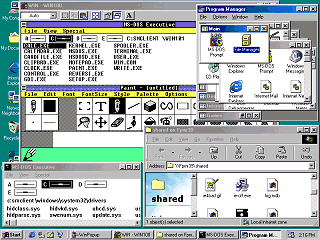 Windows 3.0 introduced the ability to put a picture on the desktop's background. Windows 98 introduces the ability to put a LIVE web page on the background. Hyper links are clickable and graphics can animate. 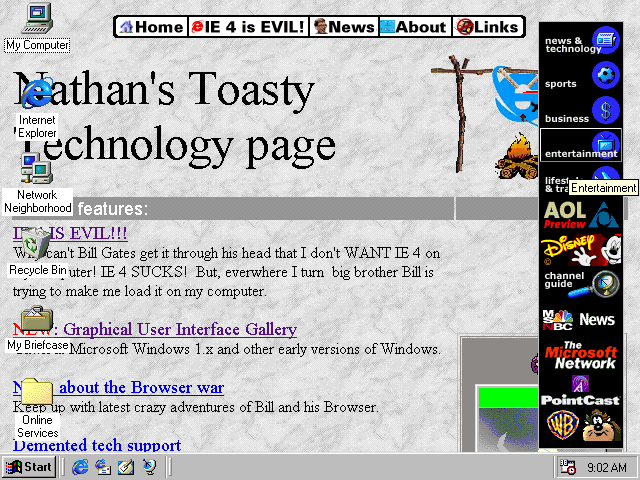 Basically there is an IE window open but pushed to the background. I just have one question... why? A Joke. 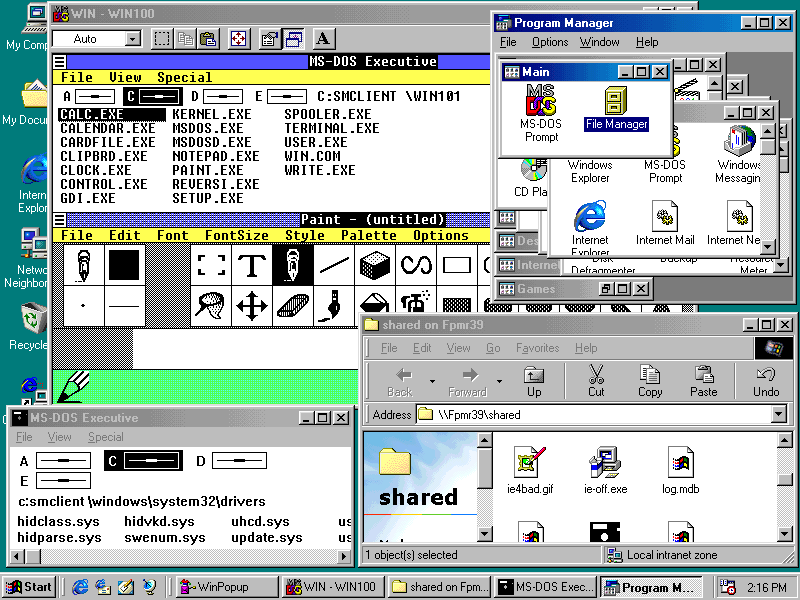 Windows 98 is running Windows 1.01 and the shells from all previous versions of Windows (except for Windows 95 because Bill Gates will not allow it).